Yesterday afternoon, all my Google News RSS feeds stopped working. I and my friend Gary Price from infoDocket spotted the issue early on. 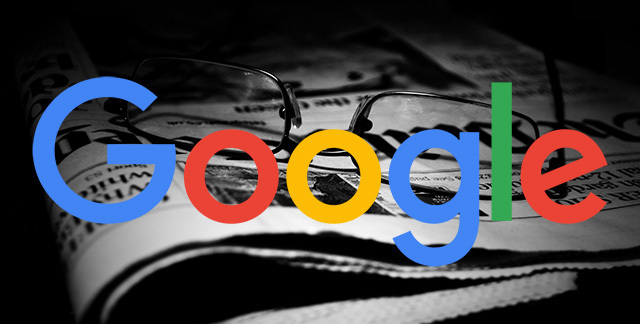 The RSS feeds from Google News were showing "this RSS feed URL is deprecated." 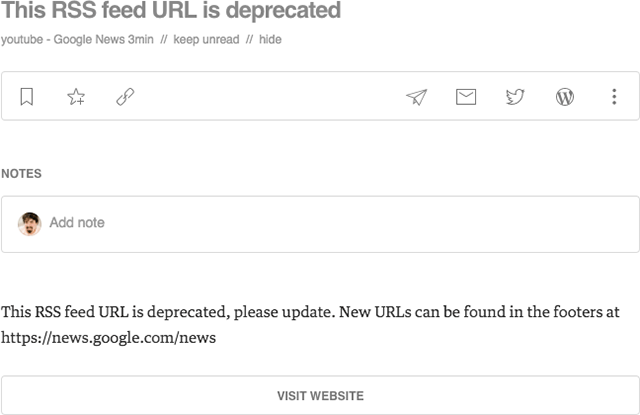 It goes on to say "this RSS feed URL is deprecated, please update. New URLs can be found in the footers at https://news.google.com/news." I thought this can't be right, we all know old RSS feed URLs can be 301 redirects to the new URLs automatically. But for some reason, Google is not doing that. On a computer, go to https://news.google.com and select the section you want or create a custom section. 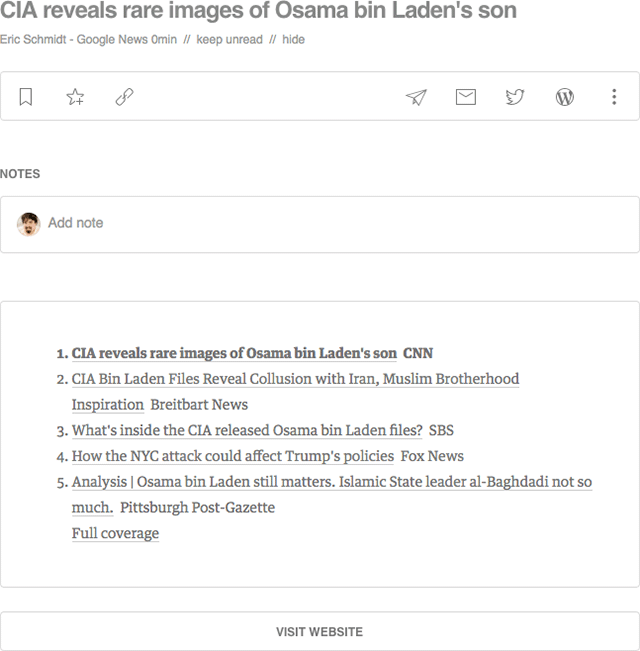 At the bottom of the section’s page, click RSS. This will make the feed appear. Copy the URL from the address bar to get the new URL for the RSS feed. The old RSS URL patterns will no longer work effective December 1st, 2017. So it seems that I will now need to go through hundreds of my RSS feed subscriptions and update the URLs manually and kill off the older ones. To make it worse, it looks like all the existing RSS feeds are a mess. They are returning irrelevant results in the old feeds. So it feels like I need to update all the URLs right now, and I don't have until December 1st to make the switch. I am surprised more folks are not complaining about this. I wish I had more time to prepare for this before all the news feeds went haywire. Update: 24 hours later from posting this story, the news results even on the older feed URLs have become better quality. I will be updating my feed URLs manually in the short term, as Google never got back to me on the redirect question.